The original brief from the clients was to change the doors. Following a site visit from Abbotts and discussing with the client the potential the property offered it was decided to knock through the kitchen and family room to make one large area. 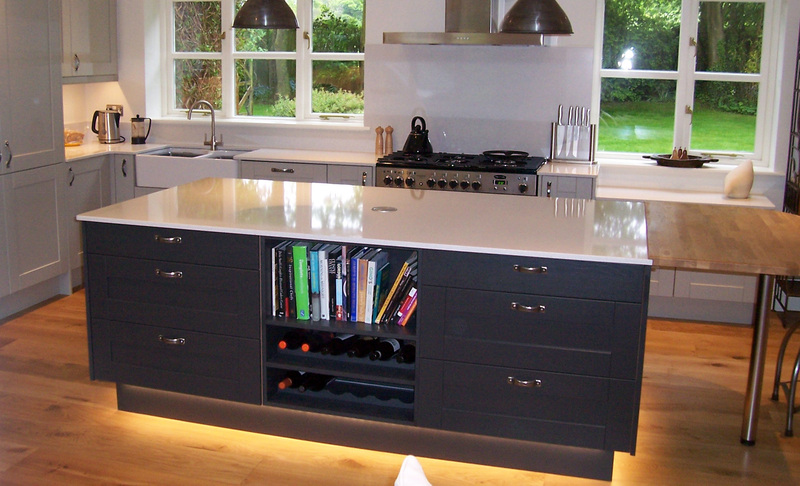 The feature of this room is the island which incorporates an Oak breakfast bar with stools, open book shelves and wine rack and pendant lighting. The whole process from conception through to the end result was made as easy and seamless as possible for us. We were delighted with one inspired design from Bev and from that point on and throughout the build everything was straight forward by such a professional and friendly team. Disruption was kept to a minimum which must have been quite a challenge on such a large project and the attention to detail was excellent. 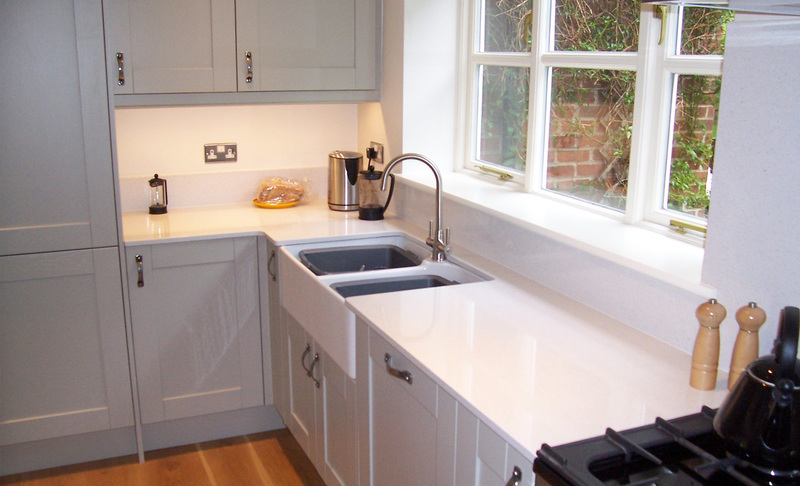 We are thrilled with our stunning new kitchen and can’t thank all of the Abbotts Kitchen Team enough. 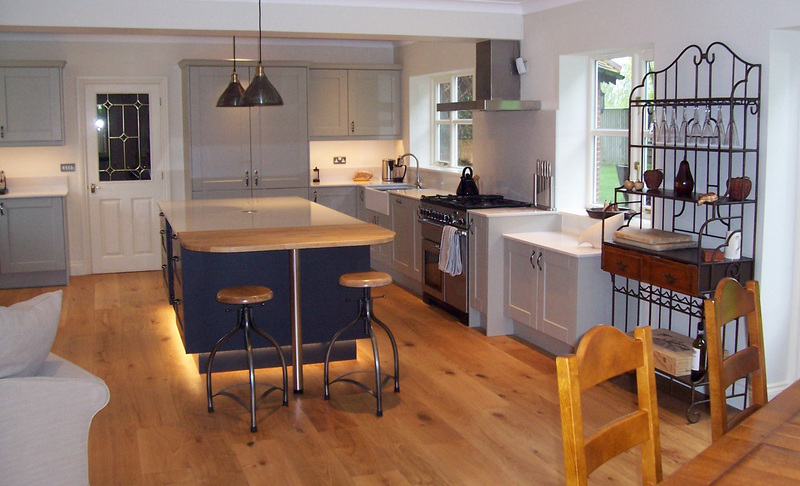 Mr & Mrs. Heneghan wanted to create a modern and spacious kitchen theme for their home in Knockdoe, Co. Galway.